Let cosmetic dentistry help you feel more confident in your smile. No matter whether you want to make subtle alterations to your smile or you want a serious cosmetic makeover, our Cincinnati cosmetic dentist Dr. Janette Williams has a plethora of options to cater to your specific needs and goals. If you want to say goodbye to that awkward gap between your front teeth, lengthen your teeth, fix uneven gums or brighten teeth and remove stains then you’ve come to the right place. As you might imagine, the purpose of cosmetic dentistry is to be able to enhance and boost the appearance of your smile. There are many ways in which to do this and cosmetic dentistry can help you find self-confidence in your appearance. Our Cincinnati dentist understands just how important it is to have a healthy-looking smile and our goal is to help you achieve that even if you weren’t born with the perfect smile. If you are looking for fast, easy and inexpensive ways to boost your appearance then turn to dental bonding, tooth reshaping or teeth whitening. Of course, if you are dealing with more significant cosmetic imperfections then dental veneers may offer you the makeover you’ve been looking for. This simple cosmetic technique uses a tooth-colored resin that is molded over a tooth to hide one or more small flaws. While bonding shouldn’t be used for more extensive cosmetic issues it can be a great way to close small gaps between teeth, lengthen teeth, cover discolorations and hide small chips and cracks. This treatment often goes hand in hand with dental bonding; so don’t be surprised if our dentist recommends getting both. 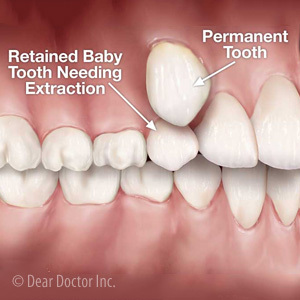 Reshaping require us to shave off small amounts of enamel to alter the size or shape of a tooth. While it won’t make drastic changes it can be enough to even out your smile. Teeth whitening is one of the easiest and most effective ways to not only remove surface stains but also brighten the color of your teeth. In-office whitening can get your teeth several shades whiter in about one hour. Of course, if you prefer, you can also use our at-home whitening system, which can give you results in just a couple of weeks of daily use. If you have more significant or widespread cosmetic flaws then thin porcelain shells might be the best option. These custom-made restorations are designed to cover the front surface of one or more teeth to give you an overall new and improved smile. Getting a straighter, whiter and more even smile has never been easier. Are you ready to sit down and chat with our very own Dr. Williams about cosmetic dentistry and how it can improve your smile? We’re happy you’re ready to take the next step. Call Montgomery Dental Care in Cincinnati, OH, today to schedule a consultation with us.